Cosmo Lines download. Free download Cosmo Lines game. 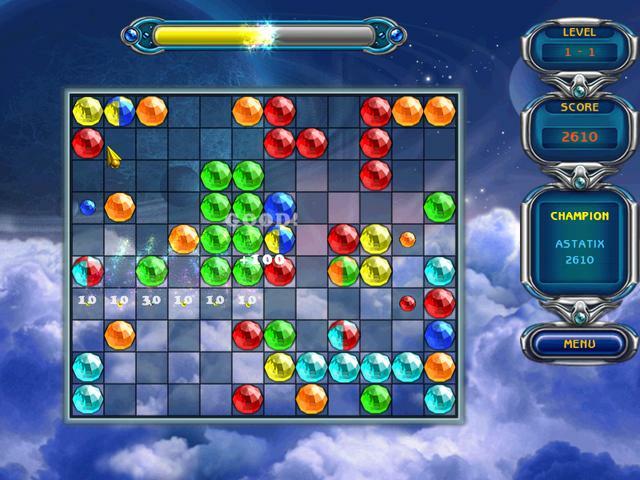 Easy to learn, tough to master; this cosmic puzzle game will keep you entertained and challenged. A field of multi-colored gems grows before your eyes, and you have to line them up in groups of three or more to make them disappear. Destroy enough gems to get to the next level and get as many points as possible. Travel the puzzling universe! 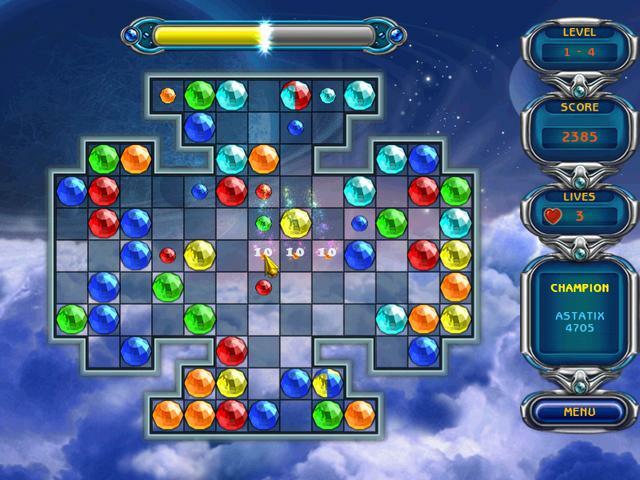 Cosmo Lines game is played on a board that fills with multi-colored gems as the game progresses. You have a very simple aim: stop the board from filling up by forming rows of 3 or more gems (minimum 5 gems in Classic mode) of the same color. The rows will disappear, leaving more space for new gems. 3 gameplay modes: Arcade, Puzzle and Classic. We have no player reviews for Cosmo Lines yet.